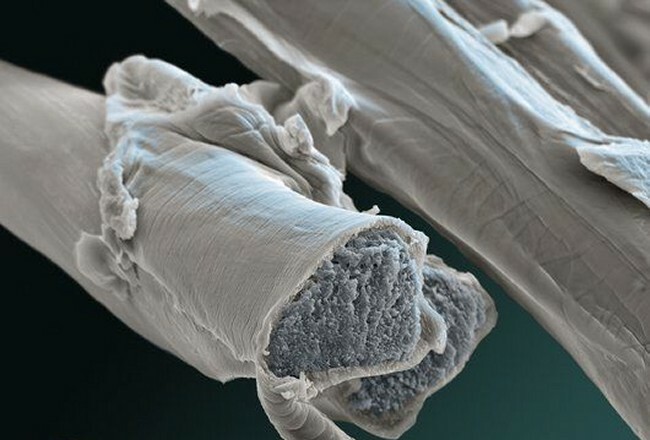 Byssus is a bundle of silky thread formed from fast solidifying secretion of several kinds of sea bivalve molluscs (such as Pinna nobilis or the Mytilidae family) or rarely freshwater molluscs (such as the Dreissenidae). In Poland byssus is produced by the zebra mussel and the blue mussel. Byssus is secreted by a gland in the foot of a mussel, which may be up to 6 centimetres long, by which mussels attach themselves to the sea bed. Some mussels also use the foot for sticking parts of a nest together. 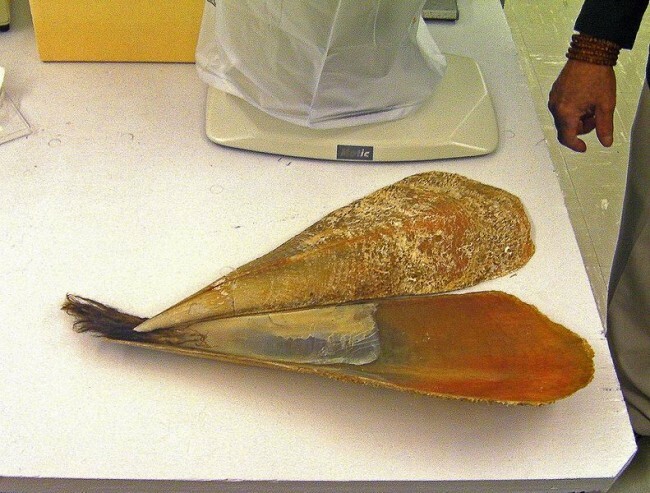 Byssus does not knit together with a mussel's epithelium and is held with muscles of the foot so it can be discarded at any time. In the ancient and medieval times very fine and shiny fabric, called sea silk (or tarantine in Italian), was produced from byssus. Allegedly, it was the most valuable fabric of the ancient times. It was made from the thread acquired mainly from Pinna nobilis, a very large clam (whose shell may be as large as 91 centimetres) endemic to the Mediterranean Sea. The qualities of byssus were praised already in the ancient times by Herodotus. Also, in the 19th century Egyptologists' findings confirmed that sea silk had been known in Ancient Egypt. John Gardner, one of the Egyptologists, successfully attempted to calculate the byssal thread density from samples of recovered fabric pieces. One inch (or 25.4 millimetres) of fabric was to consist of 152 byssus threads, which proved their extreme fineness. The main byssus production centre was Taranto in Italy, but it was also made in Corsica, Sardinia and Sicily. Sea silk was highly valued because of its rarity and golden gloss. It was extremely expensive, because it was made by hand and acquiring byssal thread was not easy. In the 18th century sea silk stockings, neckerchiefs or gloves were in fashion because of their admirable lightness, i.e. a folded pair of gloves could be kept within a walnut shell. 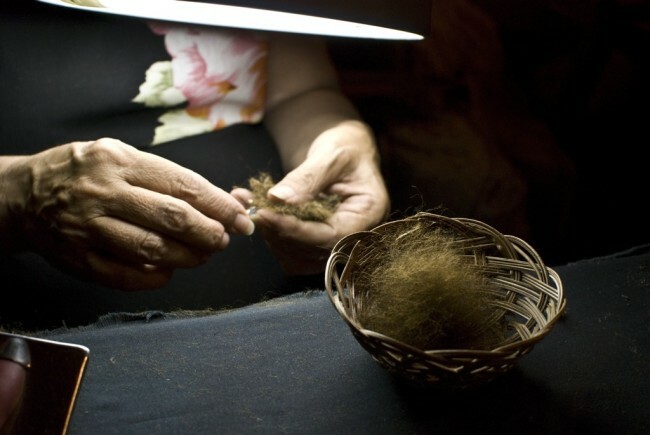 Nowadays sea silk is produced solely on the island of Sant'Antioco near Sardinia where lives Chiara Vigo, the only woman in the world who can make byssus cloth. 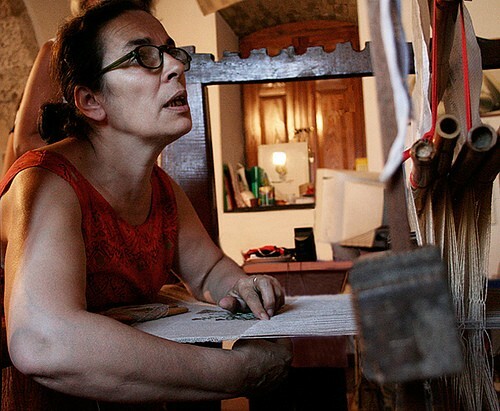 Chiara Vigo examined the Veil of Manoppello and decidedly confirmed that it had been made from byssus cloth. She also claims that although she has been making byssus cloth since childhood, she has not come across such fine fabric yet and would not be able to weave similar fabric now. it cannot be painted on as it does not retain pigments. 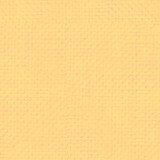 However, it must be stated that the opinions about fire resistance of this fabric are mistaken. 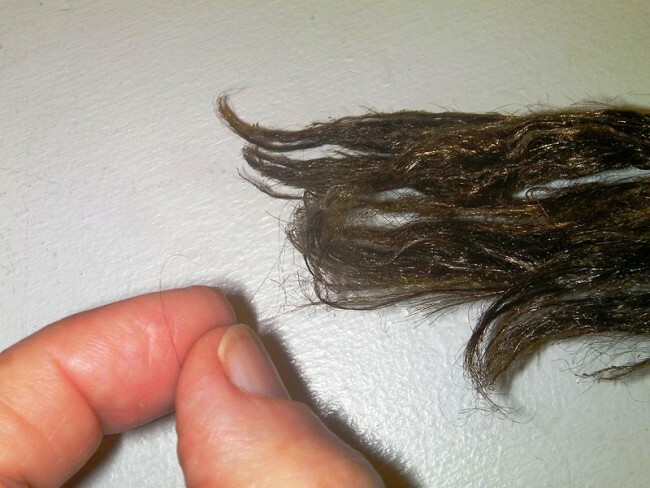 Exposed to high temperature, byssus threads melt and char, similarly to human hair. Professor Jan S. Jaworski of the Faculty of Chemistry at the University of Warsaw took part in the International Workshop on the Scientific Approach to the Acheiropoietos Images in ENEA Research Center of Frascati in Italy between 4th and 6th May 2010 and published the document "Properties of byssal threads, the chemical nature of their colours and the Veil of Manoppello" (http://www.acheiropoietos.info/proceedings/JaworskiWeb.pdf) in which he drew several conclusions. It was found using chromatographic analysis that pheomelanin is the main pigment of byssal threads responsible for their natural brown colour. The original brown colour of threads can be chemically changed to yellow, golden, pale straw, reddish and finally colourless. It may be stated in all probability that the image on the Veil of Manoppello (at least some parts of the image) was created by bleaching processes of pheomelanin in byssal threads. 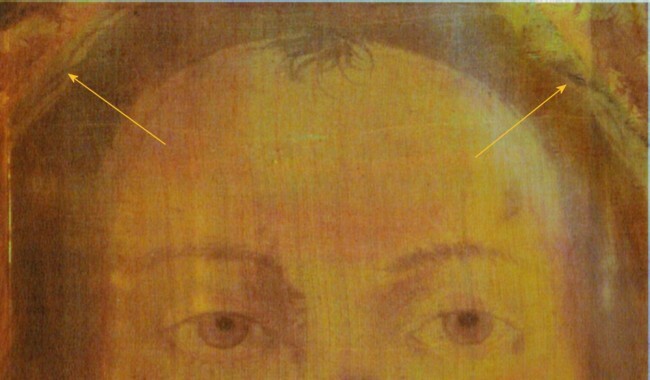 Therefore there is similarity to the image from the Turin Shroud which was created by the oxidation / dehydration processes of cellulose of the linen. 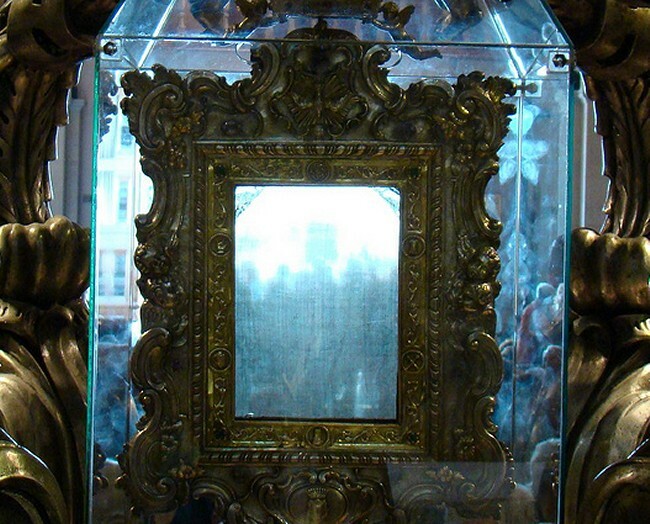 The properties of byssus are responsible for a few unique properties of the Veil of Manopello, such as the transparency of threads under a strong illumination. 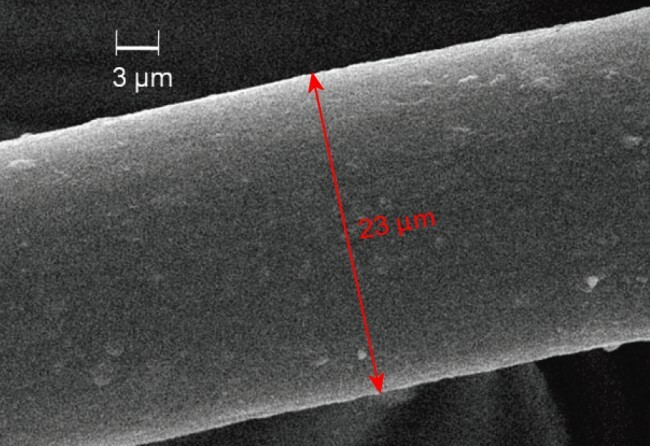 The diameter of byssal threads ranges from 12 to 44 microns (one micron is one thousandth of a millimetre). The thread surface is extremely smooth which makes it impossible for the pigment of a likely paint to "hook". 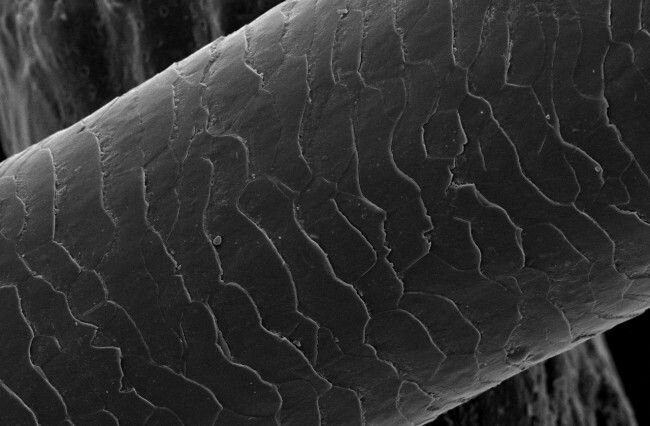 The thickness of a human hair is about 50 microns yet its structure makes it easy to dye it. Moreover, byssus is virtually transparent under a strong illumination, which cannot be stated about such fabrics as silk or especially cotton. The distinctive semi-transparency of byssal threads in natural colour. Transparency may be enhanced by bleaching the fabric with chemicals. The insets at the top of the Veil are probably made from silk. Silk threads may be dyed and are not so transparent. In order to obtain 200 grams of threads 1,000 mussels must be harvested. That is why byssus cloth has been the most expensive fabric for a long time. Only the most affluent people were able to afford it. 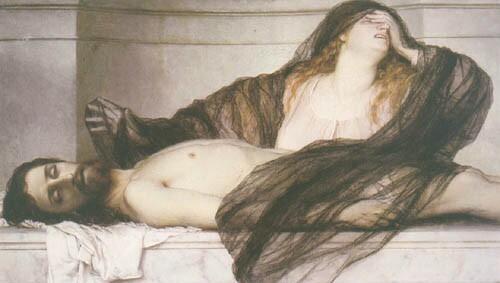 According to one hypothesis it was Mary Magdalene who put the veil on Christ's Face in token of reverence and honour.